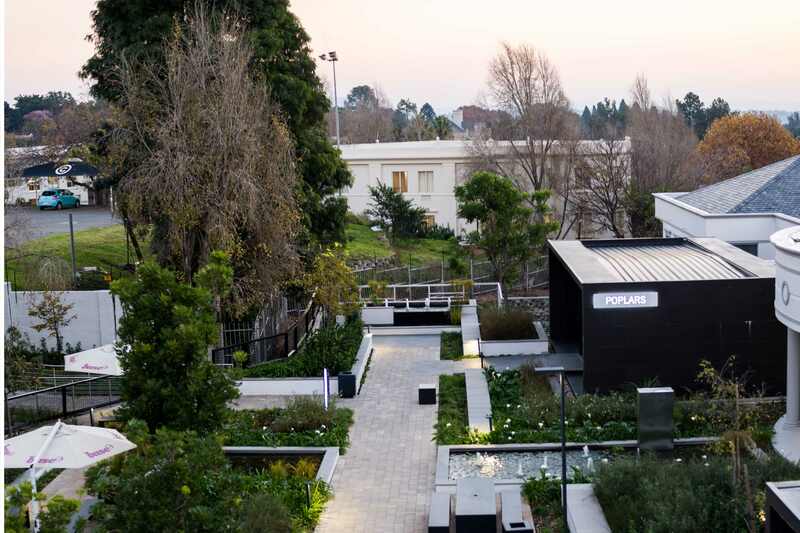 This 8400m² complex comprises of 3 building elements, previously used as a call centre. Buildings A and B sit behind Building C which is located on Federal Road, Sandhurst. The project was analysed in terms of existing accommodation, building volumes, occupant flow and architectural language. It was decided to retain the Classical aesthetic as an architectural language. The introduction of modern pavilions to juxtapose the classical language, modernizes the existing buildings. 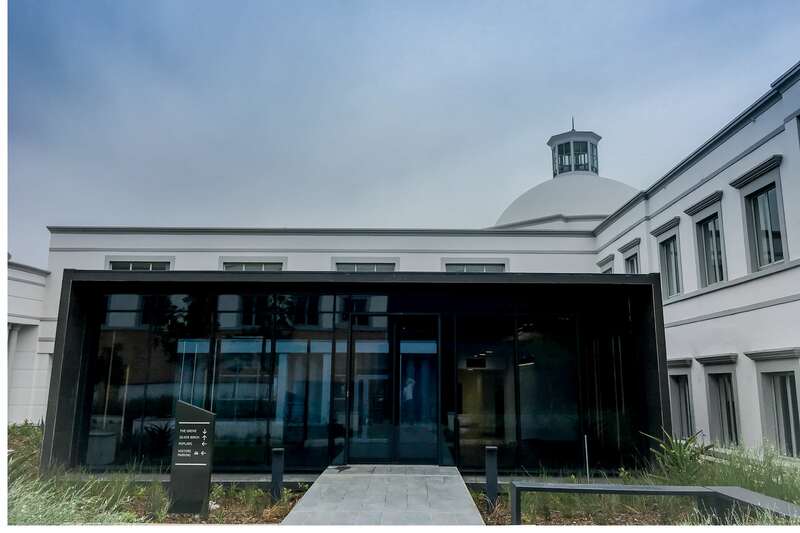 The cores and finishes have been upgraded to achieve a crisp appearance.To improve the flow of Building C and the connection with Building A & B, the main entrance to building C was relocated to the newly built central landscaped courtyard between the existing Buildings. Additional floor area was added to this building, while the cores have been reworked for efficiency. 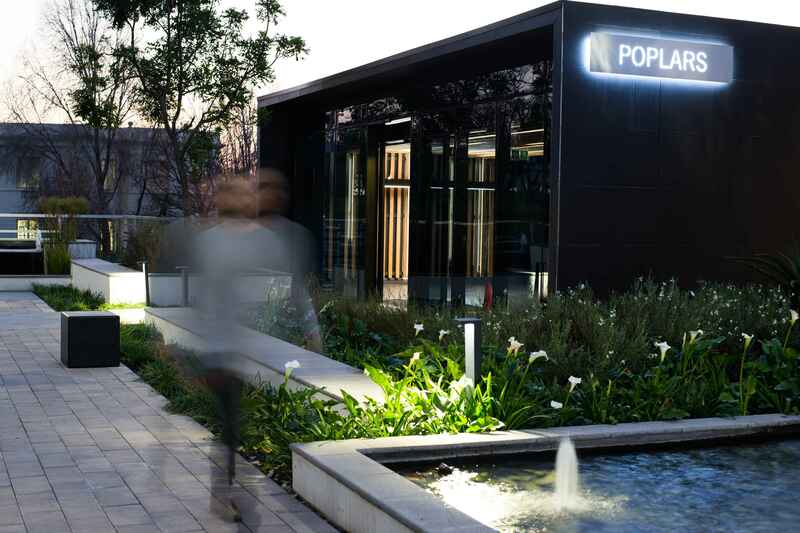 Three 25 m² pods have been inserted to improve reception formalities and introduce an elegant welcoming feature to the project within the central landscaped courtyard. The pods for Buildings A and B are located in the courtyard, whilst the pod for Building C is inserted in the building itself. The pods are light sophisticated pavilions constructed from steel, glass, and brickwork with a black feature tile. Their ethereality does not detract from the existing buildings, but rather act as a light counterbalance to the solid volumes of the rest of the project. The existing guardhouse has been demolished and replaced with a new guardhouse in a similar architectural language to the pods. 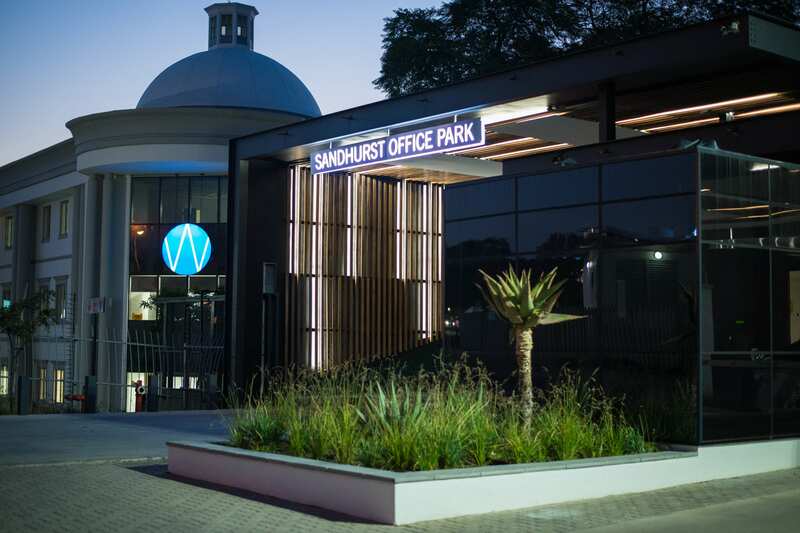 It is built on a raised platform to increase its visibility on Rivonia Road that links Rosebank and Sandton. The pavilions sit simply in the new landscaped courtyard under the spreading boughs of large indigenous trees. This new courtyard space anchors the development, creating a ‘secret’ hidden space for the urban environment. This courtyard space creates spaces for the occupant’s lifestyle and social integration.